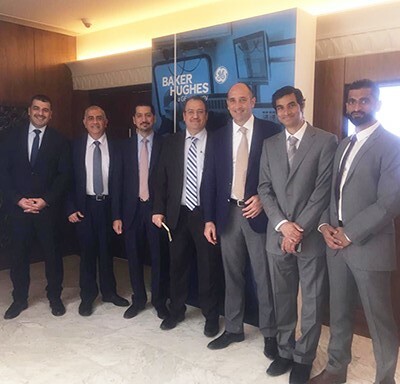 Last week a team from Edgo spent two days at BHGE’s 2018 Channel Partners Summit in Dubai. Held on the 12th and 13th December the summit is an annual event held to bring together BHGE’s channel partners in the Middle East, North Africa, Turkey (MENAT) and India to share information on BHGE’s strategy and business and product developments. The summit began with a welcome from Rami Qasem, BHGE’s president and CEO for MENAT and India and continued with a series of presentations on BHGE’s strategy and culture. During the day the team from BHGE also gave insights into business growth initiatives and product advances. The second day of the conference was a chance for those present to participate in workout sessions. The Edgo team took the opportunity to meet with the BHGE team to discuss a number of areas of business including artificial lift, chemicals, measures and digital solutions.